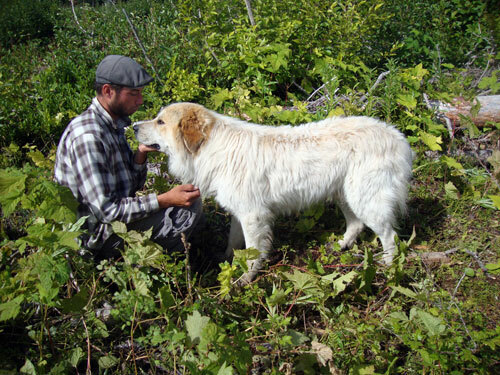 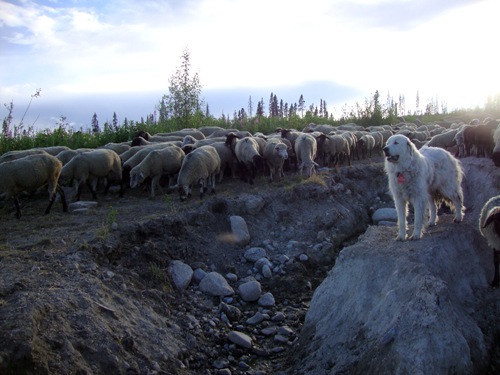 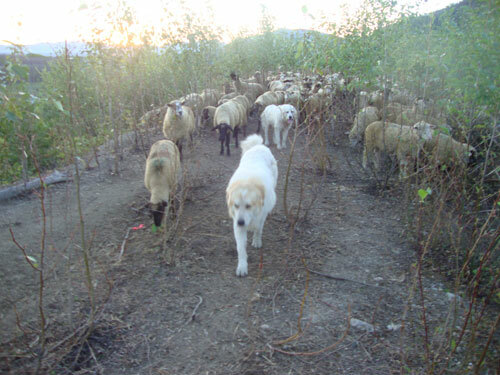 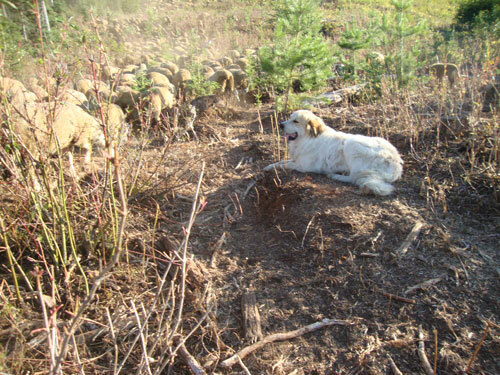 Here are pictures of working Great Pyrs in BC provided by Dennis Loxton. 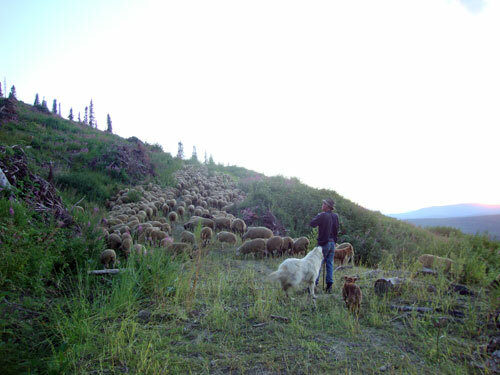 These record some of the activities during the 2003 season in the BC interior. 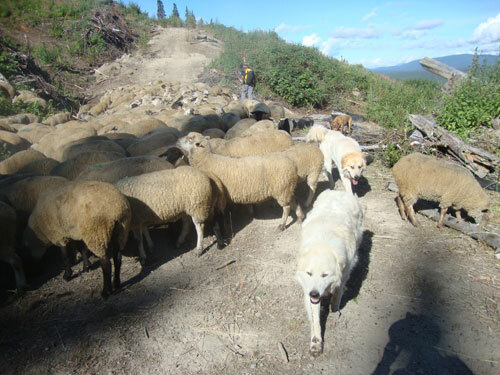 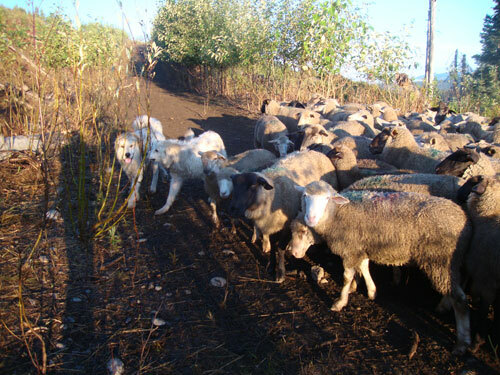 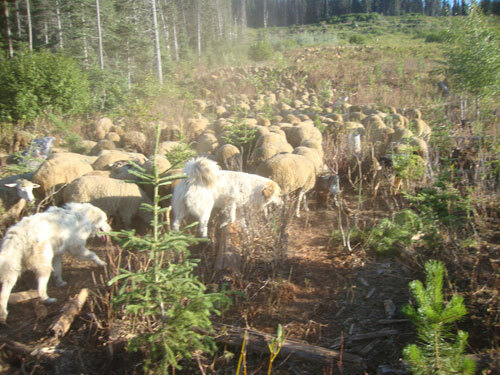 Return from Working Great Pyrs in BC to Livestock Guardian Dogs.